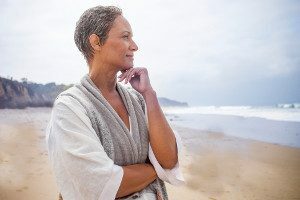 The change in hormone levels during peri-menopause and menopause (particularly the decline in oestrogen) is associated with symptoms such as hot flushes and night sweats, vaginal dryness, tiredness, sleep disturbances, mood swings, forgetfulness and loss of libido. The average duration of menopausal symptoms is about 4 years. Menopause is a natural process, and we don’t see it as a condition, but as a transition from one hormonal environment to another. This change can have profound effects on body and mind – as it does in puberty. For some women the symptoms are very mild, for others they have a huge impact on the quality of life. Can acupuncture for menopause help to manage the symptoms? Acupuncture for the management of menopausal symptoms has not been a widely researched, but the British Acupuncture Council website reports that randomised controlled trials have found acupuncture to be as effective as hormonal drug treatment for managing symptoms of menopause. Using Chinese medicine we look at the body and mind as a whole system – no single part can be understood except in relation to the whole. Each symptom is chased back to look at its root. We aim to treat both the root and the branch. Our treatments are therefore tailored to fit the particular needs of each new person we see.